Releasing a tablet with the exact same name and slapping “2014 Edition” on it does not necessarily make you think that huge changes are in store. Samsung’s Galaxy Note 10.1 2014 Edition, despite having a name that doesn’t exactly roll off the tongue, actually brings some serious new goodies to the table. Does it rewrite everything you’ve ever thought a tablet could be? No, but that doesn’t make it any less impressive as far as high-end tablets go. We’re giving away this Samsung Galaxy Note 10.1 (2014 Edition) tablet! Read on to find out what it’s all about, then join our giveaway to be in the running to win it! Samsung has thrown its latest Note 10.1 inch tablet right into the heart of the incredibly competitive top-of-the-line tablet space. As more and more buyers seek such devices, the competition level explodes. Of course, this is a good thing for buyers, as competition forces manufacturers to add new features and push devices to another level. When you think of high-end tablets, the iPad is surely one of the first that comes to mind. At $549 for the 16 GB model and $599 for the 32 GB model, Samsung’s offering is $50 dearer for the 16 GB and is the exact same price for the 32 GB when compared to Apple’s newly-announced iPad Air. Of course, Apple is not Samsung’s only competition. Plenty of other Android models exist close to that price range, such as the Nexus 10 (which is a Samsung device, but marketed by Google), which comes in a full $100 cheaper while offering very similar specs. You could even argue that Amazon’s Kindle Fire HDX line falls in a similar space, but it lacks many of the features and has a smaller screen. Even the Microsoft Surface Pro 2 could be a potential competitor, but it’s $899 price tag will likely be prohibitive to many buyers (plus, you know, Windows 8). What it really comes down to is the S Pen, which is something you will not find on any of Galaxy Note 10.1 2014 Edition’s competitors. Does this put it over the edge, or is it simply a gimmick? You’ll have to keep reading to find out for yourself. Samsung’s latest Note tablet comes in a pretty simple light brown box, which seems to be the trend for most of Samsung’s portable devices now. Upon opening, you are greeted by the beautiful tablet with its charger and documentation tucked underneath. Plenty of plastic covers the tablet, which is always good, since you know it will not arrive damaged. Once I removed the plastic, the first thing I did was look for the S Pen, which is the main reason to buy this model, after all. It took me a few seconds to locate it, and having never used a Samsung device featuring one, I was a little surprised how simple it looks. Knowing how advanced it actually is, it doesn’t look much different than a Nintendo DS stylus. The tablet is available in both white and black, and we opted to go with a white model for our review unit. From an aesthetics standpoint, it’s absolutely beautiful. It’s covered in the same faux-leather that graces the back of the Galaxy Note 3, and it looks and feels awesome. You can immediately feel the extra grip it provides, which makes holding it a little easier, and much more comfortable. When I first turned the device on, all of my initial thoughts were incredibly positive. The setup process is easy, and you cannot help but notice just how stunning that ultra-high resolution 10.1-inch screen actually is. As I mentioned previously, this is a well-designed tablet. Every detail about it is absolutely beautiful. Personally, I think the white looks a little more elegant, but both colors are fantastic. While Apple was quick to tout the incredible lightness of their new iPad Air, the Galaxy Note 10.1 2014 Edition is not far off, coming in at only 1.19 pounds; a difference you will be hard-pressed to actually notice when holding the two devices. Right off the bat, this makes the Galaxy Note 10.1 the most comfortable tablet I have ever held (the iPad Air is not available as of this writing, but 0.19 pounds is a negligible difference). An interesting design choice, and one that makes a lot of sense, is the location of the home button. It’s placed on the side of the tablet — so right from the start, you can tell that Samsung intended for this to be used primarily in landscape mode. You can still rotate the device, of course, but for most functions, I found myself using it on its side. Another design change, and one that generates a mixed reaction compared to last year’s offering is the speakers. They have moved to the side of the tablet, and are no longer forward-facing. This allows the device to have a much thinner bezel around the screen, which certainly looks better. However, the new speaker location isn’t ideal and reduces the output volume, which is an obvious drawback. Now, they are not unusably quiet, but there is a noticeable difference. All in all, this is a stunning device. Most of the changes made over last year’s model ring positive, and it’s clear Samsung took their time to make this device beautiful and functional. Having a beautiful device is great, but what’s under the hood is also incredibly important. One of the most impressive parts of the Note 10.1 2014 Edition is its screen, which is, as the name implies, 10.1 inches. It also features a 2560×1600 resolution, and I must say, it looks absolutely drop dead gorgeous. Everything from playing games to watching videos is made better by the screen. As far as power goes, the 1.9 GHz Exynos 5420 quad-core processor and 3 GB of RAM creates a fast experience, even when running two applications at the same time. However, Samsung’s version of Android is not the fastest, which we will dig into later. The 8,220 mAh battery performs well. You can easily expect it to last two or three days with moderate usage. If you run the device continuously, that figure drops to about 7 to 8 hours, which is not the best battery performance, but when you consider how bright the screen is and how much power the device has under the hood, it’s certainly not bad. I’ve always thought the concept of a rear-facing camera on a tablet is kind of dumb. I mean, who is going to hold up their 10-inch device to take photos? That being said, the camera in the Note 10.1 2014 Edition is very underwhelming. It’s only 8 megapixels, and it struggles in moderate to low light. Samsung’s camera app is great, offering plenty of options and modes, but none of that really matters here since the hardware underperforms. On the video side, it records 1080p video, which is fine, but it suffers from the same issues as the still camera in terms of lighting. I have very mixed feelings on the S Pen overall. On one hand, it’s a really cool accessory that adds some interesting functionality to the tablet. On the other hand though, much of it feels like a gimmick, and unless you are an artist planning on drawing on the tablet very often, you probably can’t quite find a use for it — your finger might perform just as well. Still, as far as a stylus goes, you will be hard-pressed to find one more advanced than this one. Using the S Pen to browse the web offers a minor but quite useful function: mousing over. With the S Pen, you can hold it over the link without actually touching the screen which works exactly as hovering a mouse cursor over a link on a computer. It’s an unexpected feature that I enjoyed. You can use the S Pen to handwrite in almost any text field on the tablet, which is useful, but I didn’t find it to be any faster than just typing. For hunt and peck typists, this could come in handy, but for someone accustomed to typing on a touchscreen, it’s more of a fun thing to show off. It’s accurate, which is all you can really ask for. The problem with using the handwriting input feature is that it’s kind of tucked away – you have to hold down the gear icon to switch. It would have been nice if the button to jump to this mode was more apparent, but at once you know where it is, it’s not a big deal. The main selling point of the S Pen is the Air Command widget. It gathers a bunch of tools specifically made for the stylus in a convenient menu that you access by simply pressing the button on the stylus while holding it near the screen. It will also launch as soon as you remove the S Pen from its holster in the tablet. Tucked inside the slick menu is five useful functions – Action Memo, Scrap Booker, Screen Writer, S Finder, and Pen Window. Action memo allows you to create quick handwritten notes that are linked to actions within the tablet, Scrap Booker lets you draw around any element on the web and save it to your device, Screen Writer takes a screenshot and lets you annotate it, S Finder is a search function, and Pen Window lets you draw a small window on the screen to open up a limited selection of multitasking apps. Each of these functions adds a lot of value and productivity to the device, which is, of course, a good thing. Using the S Pen to write notes is an incredibly responsive experience. It is able to detect different levels of pressure and will make lighter or darker strokes based on how hard you push down (this is also fantastic for drawing). Samsung also stores your handwritten notes right on the home screen with a widget, which makes it easy to see them whenever you need to get access to them. It’s nothing like buying a third-party stylus on other tablets, as all those do is replicate your finger. With the S Pen, you get a stylus that is an integral part of the experience, but in spite of that, much of it feels like a gimmick. Other than writing and drawing, there is not much you can do with the S Pen that you can’t do with your finger just as easily. Still, it’s unique to Samsung, and if it’s a feature that compels you, this is the tablet to own. The Galaxy Note 10.1 2014 Edition comes with Android 4.3 installed, but as is the case with all Samsung devices, it’s not a stock version of the OS. Instead, it comes with TouchWiz, which is a modification of Android OS that people either love or hate. Personally, I think it’s quite nice to look at, but if you are used to stock Android, this might not be your cup of tea. While at its core, it’s still Android, but there are some notable changes, such as a more widget-heavy focus. There is also the multi-window feature, which we will get to later. Most of the time TouchWiz runs snappily, but if you have a lot of widgets, performance will decrease occasionally, indicated by a slight delay between switching pages. This delay is even more exaggerated when opening Samsung’s My Magazine interface, which can take over a full second to respond to the required gesture. Speaking of My Magazine, it’s a really nice looking feature that is actually powered by Flipboard. It lets you follow the latest happenings in your news and social feeds. It’s quite beautiful, but I still prefer a traditional RSS reader and the apps for the social networks I want to use. I tried it out a couple of times, and just didn’t find it useful enough. All in all, TouchWiz UI looks fantastic, but it just doesn’t run as fast as stock Android. Still, the beefy processor compensates for that in almost all instances, and gaining the multitasking is well worth the trade off. There are a few things the Galaxy Note 10.1 2014 Edition does that really surprised and impressed me. The one thing that I enjoyed the most was multitasking. Samsung lets you run two applications at the same time, with the screen split between the two. Not all apps are supported, but many key ones like YouTube, Hangouts, and the web browser are. You can drag the dot between the two apps to make one take up more of the display. Along with the S Pen is the ability to launch S Window, which allows you to open a small app window on top of another one. You can, for example, launch a calculator over the web browser to perform some calculations without switching over to another app entirely. Of course, all of this could be done on a laptop, but it does help bring the tablet closer to the same level of functionality. Another feature that I absolutely love is the eye tracking. The tablet will scan your face, and it will not go to sleep as long as you are looking at it. This is quite handy if you are doing something that doesn’t require actively touching the screen. The front-facing camera also allows you to scroll through web pages without ever touching the screen. You simply look at it until the tablet acknowledges that it recognizes your eyes, then all you have to do is look up and down the page to scroll. With glasses on, there were occasions where it would not track my eyes properly, and I had to tilt my head to scroll, but it’s still a really great feature, and one that is a lot of fun to show your friends when you are playing with your new toy. Should you buy the Samsung Galaxy Note 10.1 2014 Edition? Generally speaking, I am not a tablet person. They fall directly into that line between phones and laptops; I just don’t see it as a gap that needs to be bridged. That being said, the Samsung Galaxy Note 10.1 2014 Edition has almost turned me around, and as far as tablets go, it’s the most pleasant experience I have ever had. With the S Pen, the beautiful screen, and the true multitasking, Samsung did a great job here. However, if you don’t need the S Pen functionality, you might be better off saving some money and picking up a Nexus 10, which is a full $100 cheaper. MakeUseOf recommends: Buy it if you want a fantastic tablet with S Pen functionality. Get a Nexus 10 if the S Pen doesn’t interest you. How do I win the Samsung Galaxy Note 10.1 2014 Edition? This giveaway begins now and ends Friday, November 8. The winner will be selected at random and informed via email. Congratulations, Andrew Lee! You would have received an email from jackson@makeuseof.com. Please respond before November 14 to claim your prize. Enquires beyond this date will not be entertained. YouTube Music Is Now Free on Google Home SpeakersWhich Is Best for Productivity: A High-End Tablet Or a Cheap Laptop? Great review, i appreciate all the detail you went in to aswell. Thanks. I will get one this afternoon! I should add . . . a lite version of AutoCad is available FOR FREE for Android, as well as a version of Photoshop. Both of these would take great advantage of an S-Pen. Again, the market is people in the design world, of all it's flavors. For everyone else, the regular non-Note Galaxy Tab is probably sufficient. A decent review, although I had to kind of skim it. One thing though . . . it never ceases to amaze me when people write things like "I have very mixed feelings on the S Pen overall . . . adds some interesting functionality to the tablet. On the other hand though, much of it feels like a gimmick. . . "
I mean, that's like a hairdresser saying, "I tested a tractor but I can't really see it's usefulness as I never use most of what it does - the whole thing seems like a huge gimmick." If you are an an artist, architect, anyone in construction, or any trade, skill or hobby where you need to make sketches and drawings, - to name a few - the S-Pen would be the sine qua non. This would be the tablet that would stand out for you among all the others w/o S-Pen type functionality. Read some reviews from people that take advantage of it and see if they would say it's a "gimmick". When you make a review, I really think you have to think of the device's audience, not just how it would fit into your own personal world. Great review for the Samsung Galaxy Note 10.1. Thank you for sharing. My care facility could make use of this gem! I haven't used one before but would love the chance to try. Either the Note 10.1 because of the S-pen (I tend to write small) or the Nexus 10 because it's a Nexus and actually gets updates in a timely manner. My favorite 10-inch tablet is the samsung galaxy note 10.1. My favorite 10 inch tablet is the iPad. Sorry guys, I think it's the best tablet overall. I haven't used the Note yet though, and I would definitely want to have one to see how it compares. my favorite ten inch tablet is Samsung Galaxy 10 because it is stylish and slim and also it is Asian product so all Asian proud of it. My favorite 10-inch tablet right now is the Apple iPad Air, but sounds like the Samsung Galaxy Note 10.1 could soon be my new favorite. The Galaxy Note 10.1 of Course! right now it would be the galaxy is my favorite. I've never owned a tablet, let alone a 10-inch tablet, but the note looks like a pretty good one! Would love to try Samsung Galaxy Note. Would be great to win. My fav is the Samsung Galaxy 10!! My Favorite Tablet is the Samsung Galaxy 10 obviously! I would say the Samsung Galaxy is my fav. My favourite 10-inch tablet is Samsung’s Galaxy Note 10.1 2014 Edition!!!! My favorite 10-inch tablet is the Samsung Galaxy Note 10.1 2014 Edition~! My favourite is the Samsung’s Galaxy Note 10.1 2014. The Samgung Galaxy Tab, since that's what I currently have. Would LOVE to upgrade though. My Favorite Tablet is the Samsung Galaxy 10 or course! I wish i could win this time..! I would have to say the Samsung Galaxy note 10.1 2014, because of the great screen and the pen! I thought it was the Nexus 10 but I'm really liking what I'm seeing from this one. ...I haven't found my favorite one yet. My favourite 10-inch tablet is Samsung’s Galaxy Note 10.1 2014 Edition. The Samsung Galaxy Note 10.1 2014 Edition of course. ... the Samsung Galaxy Note 10.1 because it allows me to handwrite in Chinese and Japanese ( ?? and ??? ) :) - And it looks good next to my Samsung Galaxy phone. Just the One I direly need to have. My favorite 10" tablet is the Samsung Galaxy Note 10.1 2014! I am looking for a tablet I can afford. May be this one. my favorite 10' tablet is the Samsung Galaxy! My favourite 10-inch tablet is going to be the Samsung Galaxy Note 10.1 2014 Edition! The Samsung Galaxy Note 10.1 2014 Edition of course, but really anything by Samsung is wonderful! Certainly the SGS Note 10.1 as it is the only good tablet that hat a proper Pen. The one I get for free. So, I am planning on buying a tablet this month. I think I have figured out which one I want! Maybe I can win it instead! Thanks for the review, I really needed it! Samsung Galaxy Note 10 ;) I have never had a tablet so I hope this will be the first. Samsung Galaxy Note 10.1 2014 Edition! Samsung Galaxy Note 10.1 2014 Edition!!! THIS ONE!!!! that is if i get it...! well, it will be the Samsung Galaxy Note 10.1 2014...i don't have a tablet of any kind or an ereader or even a smart phone, but i sure would love this tablet. Your review has convinced me. I have an Apple phone though not committed. The Samsung Galaxy Tab 10.1 is my favorite!! I dont have one. But I do have a Samsung phone and I love my phone so I am sure I would love this tablet! This tablet would serve my needs very well. this would be so helpful for uni! For what I might use a tablet for, this Galaxy Note may do very well! Review spot on. Still learning but really pleased with the experience so far. The S pen and associated features make the Galaxy Note very attractive. The iPad doesn't have a pen, hence the Galaxy Note 10.1 2014 edition! Samsung Galaxy Note 10.1 2014 Edition ! The Galaxy Note 10.1 is definitely a contender. I'm looking forward to using one of this to incorporate into my daily business activities. It could make my dyas more fun and productive as well! Samsung Galaxy Note 10.1 2014 Ed. I don't own one either but i definitely like the look of the Galaxy note 10.1! Perfect for my college needs. I dont own one yet but would love to! This one ! Thank you for the chance !! ... definitely the Galaxy Note 10.1! The one that I win from a giveaway :). the samsung galaxy note of course! My favourite 10 inch tablet is Samsung. My favorite 10-inch tablet is Samsung Galaxy Note 10.1 2014 !!!! My favorite 10-inch tablet is Samsung Galaxy Note 10.1 2014 !!!!! My favorite tablet is the tablet that replaces my broken beyond repair ASUS Transformer Prime! My favorite 10 inch tablet is the Nexus 10, but the Note 10.1 could replace that! My favorite 10 inch tablet is the Samsung Galaxy Note. My favorite is this samsung tablet! My favorite 10 inch tablet is the SAMSUNG GALAXY TAB 10.1 because the reviews about that tab are world wide best. This would be a great gift for my son.. Since i can't afford a gadget like this.. It's nice..ive read the specs. I jufast.st got my Note 10.In sure the galaxy tab 10.1.1, 2 days Ago And I Love. it The pen feature is Cool But The swipe feature of All Samsung devices is equally fast. If you Are ready to move AWAY from ijunk Android is the way to go. This tabletis very Advanced But Easy to use. IM sure the galaxy tab 10.1 would be plenty of Tab for Me And the Note is WAY More tab than I need but, IS that a bad thing?? My favorite 10-inch tablet is the Samsung galaxy note 10.1 2014 edition<3!! The 2014 Edition of the Samsung Galaxy Note 10.1 is my favorite 10-inch tablet. My favorite 10-inch tablet is the Samsung Galaxy 10.1 2014 edition! My favorite 10-inch tablet is the Samsung Galaxy 10.1 2014 edition! I can't wait to get my hands on one! My favorite 10 inch tablet would be the new Samsung Galaxy Note 10.1 2014 Edition! My fave tablet will be the Samsung Galaxy Note 10.1 2014 that I hopefully win from you! I would like to say Samsung galaxy note 10.1 2014, if i'm lucky enough. because I don't have any. Oh I'd love to take this for a spin because I'm with you not seeing what the big deal w/tablets. It sure looks sharp. My favorite 10 inch tablet is the Nexus 10! My favorite 10 inch tablet is the Samsung Galaxy Note 10.1 2014 Edition. I use an iPad2 at work, and I've found it to be solid, dependable and useful. I'd started saving for one of my own, but after reading Dave's review I think I may have a new target for my scrounged pennies! The Nexus 10 was the only 10" Tablet Ive ever owned but I had to sell it last year. My favorite 10 inch tablet is the Samsung Galaxy Note 10.1 2014 Edition. Ty for the giveaway & gl to everyone! My wife has the Samsung Tab 2 10.1. As cool as it is this one seems much better by far. I'd have to go with the Asus Transformer Prime because it's the only one I have. These Samsung ones sure do look nice. My favourite 10 inch tablet is the Samsung Galaxy Tab 3 but this one looks even better!! 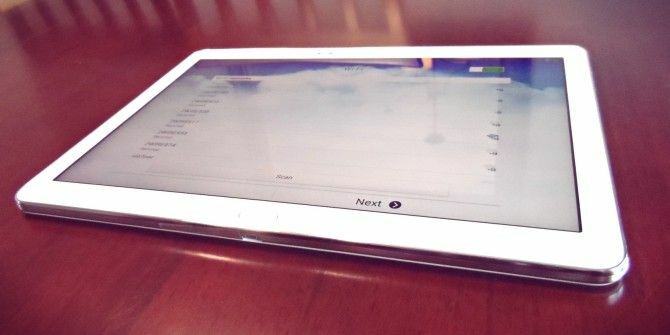 My favorite 10-inch tablet will be Samsung Galaxy Note 10.1 2014 Edition! fingers crossed! I don't know enough about them to have a favorite! I really like the Samsung Tablets. They can do so much, I'll never need my laptop again! My favorite 10 inch tablet is ANYTHING by Samsung. They simply make the best devices and touchwiz = supreme. I havent had any 10" tablet. ...is the Samsung Galaxy Note 10.1 2014 Edition! I am praying hard to win it my favorite 10 inch tablet is the Samsung Galaxy Note 10.1 2014 Edition!!! My favourite 10-inch tablet is any I can win. ...the Samsung galaxy note 10.1 2014 edition. ...going to be the Samsung Galaxy Note 10.1 2014, if I win it! My favorite 10 inch tablet is this Samsung Galaxy Note! My favourite 10 inch tablet is the one I got, ipad original 1st gen., unless you make me the winner and send me this one. My favorite 10 inch tablet is the Asus Transformer. My favorite 10-inch tablet is iPad Air !! I filled the widget but nothing happens when I press submit. I don't have a tablet, so I can't answer this. My favorite 10 inch tablet is the Samsung Galaxy Note 10.1 2014 Edition!! It s may favorite tablet. this 2014 note version of course! I'm not sure which tablet, but so far probably Nexus 10 or Galaxy for Andorid tablets. I love the galaxy tab 10.1 2014 edition it's so cool. The galaxy Tab is my favorite 10 inch tablet. the Samsung galax note for sure!!! Samsung Galaxy Note 10.1 2014 Edition because it truly makes a tablet become a content creator with it's S-Pen and Multi Window Function, which really comes in handy for it's 10.1" High PPI screen! My favorite 10-inch tablet is Samsung Galaxy Note 10.1 2014 Edition! Galaxy Note!! I want you! My favorite 10-inch tablet is Samsung Galaxy Note 10.1 2014 Edition!! My favorite 10 inch tablet is the Samsung Galaxy Note 10.1 2014. My favorite 10-inch tablet is the Samsung Galaxy Note 10.1 2014 Edition! My favorite 10-inch tablet is the all new and awesome Samsung Galaxy Note 10.1 2014 Edition! My favorite 10-inch tablet is Samsung Galaxy Note 10.1 because it is a beast in itself. It can learn the way I am. It is an awesome tablet. iOS can't attract me with it's beauty... I follow Android is my religion and Samsung is my God. And Galaxy Note 10.1 2014 is my gift from God. Any that may be won. My favorite 10-inch tablet is definitely the Samsung Galaxy Note 10.1 2014 Edition!! If I win it, the Samsung Galaxy Note 10.1 2014 Edition...just sayin'! Great review Dave not really got a favorite tablet but the Samsung Galaxy Note sounds like a good little tablet from your review so count me in for this giveaway please & thanks. The Samsung Galaxy Note 10.1 2014 Edition, either I win it or not! If I win it, the Samsung Galaxy Note 10.1 2014 Edition!! My favorite 10 inch tablet is the Nexus 10. Give me a Samsung note 10.1 and it will be my favorite tablet. Samsung Note 10.1 2014 of course. My favorite is the Samsung Galaxy Note 10.I would love to win it. my favourite 10 inch tablet, is this one I am hoping to win! My favorite 10-inch tablet is any tablet given to me lol. I don't have one, but owning one sounds really nice! My favorite 10.1 inch tablet is the Samsung Note 10.1 2014 edition (or it certainly will be when I win LOL). Hope to win the Samsung Note 10.1 2014 edition in time for christmas . My favorite 10.1 inch tablet is the Samsung Note 10.1 2014 edition (or it certainly will be when I win). Ths Samsung Galazy Note. Anxious to get one of my own! My favorite 10.1 inch tablet is the Samsung Note 10.1 2014 edition. I don't own any tablets yet, so I am very excited for a chance to win the Note 10.1. My favorite 10.1 inch tablet is the Samsung Note 10.1 2014 edition. I have the note ii. I wonder hoq much better the 10 will be. I love my Note! My favorite 10.1-inch tablet is the Samsung Note 2014 edition. Of course my favorite 10" tablet is none other than the wonderful and amazing Samsung Galaxy Note. My fav 10" is the Galaxy Note...from Samsung. Just like my phone....the Note. <3 my Samsungs!! It's obvious what my favorite tablet is, Galaxy Note. My favorite tablet will be a Samsung Galaxy Note 10.1 2014 Edition. Right now I only have the Nook Color and I'm in major need of an upgrade. My favorite 10 inch tablet is the Samsung Galaxy Note 10.1 2014 Edition in the entire world !!!! The Nexus 10 is the most outstanding and personally rewarding tablet ever.I want to win this one!Can you tell I'm excited just for a chance to win? The Samsung Galaxy Note 10.1, of course! My favorite 10-inch tablet is “Samsung Galaxy Note 10.1 2014 Edition”. to be advised...as soon as i win this one i will let you know! My favorite tablet is the Nexus 10 actually! My favorite 10-inch tablet is the Samsung Galaxy. The galaxy 10 inch tablet, of course! My favorite 10-inch tablet is "Samsung Galaxy Note 10.1 2014 Edition". My favorite 10 inch tablet is the samsung galaxy jote 10.1 2014 edition. My favorite 10-inch tablet is Samsung Galaxy Note. I would say the Galaxy Note 10.1 due to its S-Pen and top notch specs and look. My favourite 10-inch tablet is the Samsung Galaxy Note. My new favorite 10 -inch tablet is Samsung Galaxy note 10.1 2014 edition! Samsung Galaxy Notebook is the BEST!!!!! My favorite tablet is note 10.1! My favourite 10-inch tablet is Samsung Galaxy note 10.1 2014 edition! I have no tab, so, I want this anyway! my favourite is samsung galaxy note 10.1-2014 edition. My favourite 10-inch tablet is the Samsung Galaxy Note! My favorite is Samsung Galaxy Note! My current favorite is the Samsung Galaxy Tab 2 10.1 since I have one, but if I were to win, I think it would change to the Galaxy Note 10.1 and I would give the Tab to my son since he keeps borrowing (taking) it. My favourite 10" tablet is the Samsung Galaxy Note! After reading this review, my fave tablet is definitely the Galaxy Note! My favourite 10-ince tablet is the Samsung Galaxy Note 10.1 2014 Edition! I definitely love the Galaxy Note. I've checked into it and love it. I also love any of the Galaxy phones! If money is no object then the Note 10.1 2014 is my choice, spending my own money I may be very torn based on the $100 difference and may give up a few things for the cheaper Galaxy Tab version instead. It would be a tough choice for me without getting some play time with each one to decide properly. I will be honest I dunno which is my favorite never used one can't afford, would LOVE to win thanks for the chance to win one. The samsung galaxy note 10.1 2014 edition is by far one of the most advanced tablets out there in the market. The Samsung Galaxy Note 10" is by far the best. The Samsung Galaxy Note 10.1 2014 Edition!!!!!!!!!!!!!!!!!!!!!!!!!!!!!!!!!!!!!!!!!! The pen feature is fantastic. Great review. I enjoyed all the info. Better than skimpy reviews. the galaxy note is awesome. I don't have a favourite!!! Of course, the Samsung Galaxy Tab 3 is the best!! wish that i had one!! Galaxy Tab so far.. the Note looks great! Samsung Galaxy Tab 3 is my favorite 10-inch tablet. My favorite is the Samsung Galaxy!! My favorite 10-inch tablet is Samsung Galaxy Tab 3. That's my current tablet. I'd say that my favorite 10 inch tablet is probably the galaxy note. My favourite 10-inch tablet is the Nexus! What a great giveaway.. goodluck everyone! my favorite tablet is the Samsung. My work got all of us tablets and it is so awesome. That 2560×1600 resolution is going to make watching movies on it an enjoyable experience. Nexus 10 for vanilla Android. My favorite is the Samsung Galaxy Note 10.1 2014 Edition if I could choose despite the price tag. Samsung is simply the best! My favorite 10 inch tablet is the Note 10.1! My favorite 10 in tablet is the Samsung Galaxy Note I was surprised at all this tablet offers from the review! Seems to be awesome! My favorite 10-inch tablet is definitely The Note 10. Am very Impressed with the note series in general and this tablet looks great! My favorite 10-inch tablet is the Samsung Galaxy Note 10.1 2014 Edition. Galaxy Note 10.1 :) wish my luck!! My favorite 10-inch tablet is Samsung Galaxy Note 10.1 which I hope to win! My favorite tablets ara anything from Samsung Galaxy series! Gotta be the Samsung Galaxy Note 10.1 - here's hoping for a little MakeUseOf love! My favorite tablet is the Samsung Galaxy anything! Since I own an ipad, it has to be that. But I'm really, really hating Apple, and desperate to switch to Android! My favorite 10-inch tablet is Samsung Galaxy Note 10.1. My fav is whatever is in my hand at the time! My favorite 10 inch tablet is the Samsung Galaxy Note 10.1! the new Samsung Galaxy Note 10.1! My favorite is a Samsung notebook!! The Samsung Galaxy Note 10.1 2014 Edition! The Samsung Galaxy Note 10.1 2014. My favorite 10-inch tablet is Note Since its launch. My favorite tablet WAS the Nexus 10, but now it IS the 2014 edition Galaxy Note 10.1. Samsung Galaxy Note 10.1 2014 Edition is my new fav tablet. My favorite 10-inch tablet is....The Samsung Galaxy Note 10.1 2014 Edition.Would love it!!! The new Samsung Galaxy Note 10.1 2014 Edition! Samsung Galaxy 10.1 2014, I want that multi window! the Samsung Galaxy note is my fave, is there anything it can't do? I wanted exactly this one! Samsung rules! IPad Gen 1... because its the one I own... and it still gets the job done. My favourite 10-inch tablet is Samsung Galaxy note 10-1-2014 edtion. Thats one of the best Tablets I have heard. Samsung still improving all the gadgets. Know it existed a couple days ago. After reading maeuseof review my choice was confirmed. My favourite 10 inch tablet is the Samsung Galaxy Note 10.1 (2014)!!! Samsung Galaxy Note 10.1 2014 Edition for sure! My fav, the Samsung Galaxy Note 10.1, the eye tracking, the S pen, it all looks cool! I really, really, need a Samsung Galaxy Note 10.1 2014 Edition!!!!! My favorite 10 inch tablet is the Samsung Galaxy Note 10.1 2014 Edition !! My favorite 10-inch tablet is Samsung Galaxy Note 10.1 (2014). There is no better experience than the one with this machíne! It got everything, 'it's not just a machine, ìt's an ATTITUDE!'. My favourite 10 inch tablet is Samsung Galaxy Note 10.1 (2014) ! i want a 10 inch tablet .. I've never had a 10.1 inch tablet; price wise, they're usually out of range. I really like the note series, especially after messing around with them at BestBuy. My favorite is the Samsung Galaxy note. No tab is my favourite yet. If I win this it will become one. Nexus 10 would be my favorite tablet as its a value for money.However,that being said,Note 10 does have some mind blowing specs. Samsung Galaxy Note...since it does look really cool. I honestly don't have a 10 inch tablet to compare it to....thus it's at the top. My favorite 10 inch tablet is Samsung Galaxy Note 10.1 2014! ...most notably the Samsung Galaxy Note 10.1 2014 ! The Windows Surface Pro...Just kidding. the Samsung Galaxy Note 10.1 2014 Edition. It has to be the giveaway of the year! My favorite one is the one I am yet to lay hands on. My favorite 10 inch tablet is Samsung Galaxy Note 10.1 2014. My favourite 10-inch tablet is going to be the Sansung Galaxy Note. my favorite tablet is the Samsung galaxy note of course, the 10 inch size! My favorite 10-inch tablet is the Lenovo Yoga Tablet 10 . My favorite 10 inch tablet is Nexus 10. To be (complying) or not to be ... people, just get over it: my fave 10' is the Nexus, yes, THAT 10' Nexus. Compelling, I know. I don't have one, so the one I win would be an automatic favorite! Samsung Galaxy Note 10.1 2014 Edition of course! ... going to be the Samsung Galaxy Note 10.1 2014 Edition~ if I win it. My favorite is my iPad, but I have a first generation, and I'm frustrated that I can't upgrade to the newer iOS and make use of newer apps. When I replace it, I'm not sure I want to cough up Apple prices when I can probably get the same functionality with a droid device. yesterday evening I know my reckoning confirmed. the one that I win!!!! the Galaxy Note - is there any other table?? The Samsung Galaxy note 10.1 has all the features I want in a tablet ( like the 2560×1600 resolution) and I love the S pen, and its my favorite tablet out there on the market now. I would like to own a Samsung Galaxy Note 10.1 2014 Edition, it would be my favorite tablet, I don't own a tablet. Errm - The Google Nexus 10? It's the Samsung Galaxy Note 10.1, of course. ...whichever I don't have to pay for. My favorite 10 inch tablet is the Galaxy Note 10.1 2014 Edition. My favorite 10-inch tablet is the Samsung Galaxy Note 10.1! I currently don't have one! So this would be my favorite if I win, obviously! My favourite 10-inch tablet is the Samsung Galaxy Note 10.1! My favorite 10 inch tablet is the Samsung Galaxy Note 10.1. Want a Galaxy Note 10.1 2014 Edition! Anyone that i can play Candy Crush on ? So many more options than apple like the card slot, storable stylus slot and all the software! Samsung Galaxy Note 10.1 2014 Edition is my fave tablet! Fav tablet is the Galaxy Note! My favorite 10 inch tablet is the Galaxy Note 10.1 2014 Edition! Well.... it could be this one, as I don't have tablet ATM, so how can I have favorite? My favorite 10-inch tablet is the Galaxy Note 10.1 2014 Edition!!! My favorite 10 inch tablet (thus far) is still my Toshiba Thrive, but I could learn to love a Samsung Galaxy Note 10. Samsung products are consistently cutting edge and reliable. My favorite 10-inch tablet is the Galaxy Note 10.1 2014 edition!! Probably this one, as I don't have one now. I'm thinking of buying a Google Nexus 10. This is my favourite tablet at the moment. The Galaxy Note being very close second however. My favorite 10-inch tablet is the Galaxy Note 10.1 2014 edition. My favorite 10 inch tablet is the Samsung Galaxy Tab 2. I don't currently have a favorite 10-inch tablet. I'm assuming it will be the Samsung Galaxy Note 10.1 when I win it! My favorite 10 inch tablet is the Galaxy Note 10.1 2014 edition because the iPad Air at 9.7 in. come up short. The question should be here but I could not copy it from above so just assume that it exists ... unknown as I have no significant experience with any tablets. with "yes or no" why does your system get confused?